A cold wind blows the water into hundreds of sparkling wavelets as we kayak away from our campsite on the edge of the Ocoee River. Tentative green leaves unfurl on the birch and hickory in the woods above, the magenta flowers of the red bud warms me in a way that the early spring sun doesn’t. I nod, happy that he thinks I’m capable of attaining any eddies, given how wobbly I’m paddling. It’s my first day in my playboat since summer and it shows. I’m kayaking behind Alex and Rhett, watching them maneuver around rocks and small holes. I watch as first one and then the other paddles into the eddy on the right. Instinctively I turn my boat to the left and paddle hard toward the sneak line before either one can call out to me. I bobble over a few ledges and wait for them as they eddy-hop through the rapid, the entire time feeling like I missed out on an opportunity. 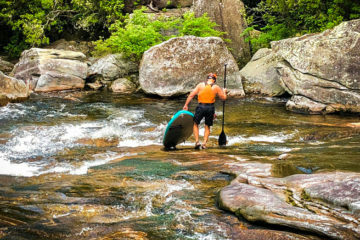 I recognize a pattern and holding on to a boulder watching them ferry back and forth, I remember that I first paddled the Ocoee when I was pregnant over five years ago. Back then I memorized the lines that would safe-guard my belly, avoiding any potential risk of being upside down. 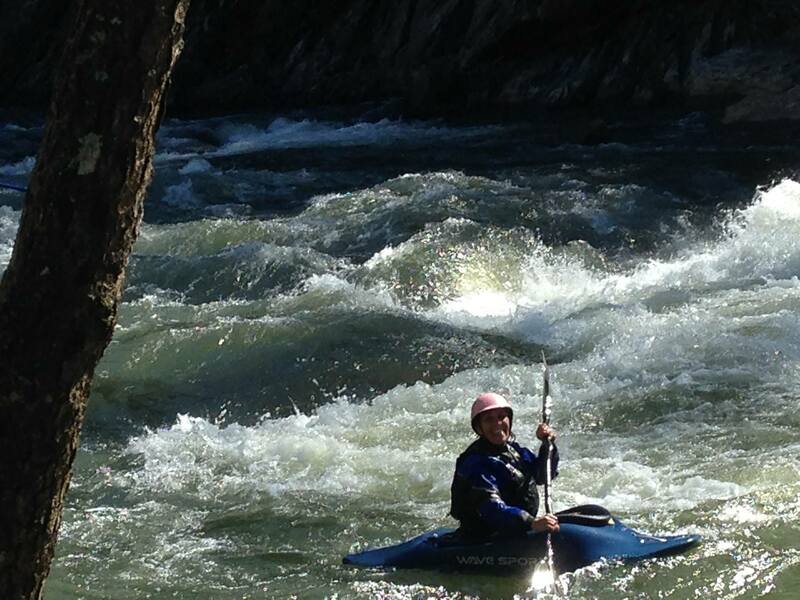 Five years later I am still paddling in a defensive, protective manner on the Ocoee. The rapids put me back in the mental space of a pregnant woman, enjoying the freedom of movement that paddling provides but not wanting to risk the health of the babe baking in my belly. 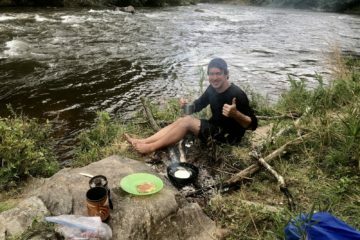 My paddling reflects where I’ve been, first pregnant and then a tired mom raising an infant mostly alone, mostly surviving the river, looking for an escape, if only for an afternoon. I’m not that woman anymore. I’ve got choices of how I want to approach life both on and off the river. As tempting as it is to play it safe, there’s an upside to staying present, to focusing on achievable goals. I’m making the decision to get those eddies in Broken Nose, to take more risks in life. This moment and next hinges on the story I tell myself, not where I’ve been but the one I’m writing now, about where I’m going. I am open to new experiences. I am confident. I am going into that eddy. These affirmations are the ones I tell myself, reminding myself to pay attention more to this moment than the past, focusing on my ability to adapt and grow.